Product/Service Categories: Your cart is empty. At the 2015 International Hoof-Care Summit in Cincinnati, Ohio, AAPF/CAPF Board Member Dave Dawson APF of Uxbridge, Ontario, Canada, presented to the Board of Directors a pencil drawing of Roy Bloom APF CJF. The artwork was hand drawn by Ashley Miller, an artist also from Uxbridge, Ontario. The artwork was subsequently auctioned and the final bidder was James Gilchrist APF of Wellington, Florida. James then presented the artwork to Roy. The AAPF/CAPF had copies of the print made and is now making these copies available for our members and others to purchase. Prints are approximately 13" x 14"
All proceeds from the sale of these prints will go to the newly created “AAPF/CAPF Roy Bloom Scholarship Fund” which will provide financial assistance for new farriers to attend future Hoof-Care Summits. The details of the application process are still being finalized. Prints will be mailed directly to the purchaser. Once an order is received, the AAPF/CAPF Office will contact the purchaser to determine how they would like Roy to personalize the print when he signs it. Option A - Roy Bloom Print signed by Roy Bloom APF CJF - $50 (plus $10 shipping). The paper used for Option A is 32 lb bond. Option B - Roy Bloom Print numbered (1 - 200) and signed by artist Ashley Miller and Roy Bloom APF CJF - $100 (plus $10 shipping). The paper used for Option B is satin paper. IAPF Country Australia Canada Denmark England Germany India Ireland Italy Mexico Netherlands Panama Scotland South Africa Switzerland United Kingdom U.S.A.
Price includes shipping to USA locations. Port Authority® - Ladies Long Sleeve Easy Care Shirt. Look great with no hassle. Our Easy Care shirt looks terrific right out of the wash. Wrinkle resistance makes them ideal for travel. Lightweight and comfortable they are a perfect choice for uniforming. Tremendous classic styling with functionality that never lets you down. IAPF Country Australia Canada Denmark England Germany India Ireland Italy Mexico Netherlands Panama Scotland South Africa Switzerland United Kingdom United States U.S.A. Port Authority® - Long Sleeve Easy Care Shirt. A wrinkle-resistant shirt is a cut above the competition so you can be too. A comfortable, wash-and-wear shirt that looks good at work and at special events. Colors: Click here to see the colors available for this shirt. Keep the warmth centered on your core in our Puffer Vest. These styles are great for layering over a long sleeve shirt or under a jacket. If IAPF with Country selected N/A U.S.A. Australia Canada Denmark England Germany India Ireland Mexico Netherlands New Zealand Panama Scotland South Africa Switzerland U.K.
IAPF Country Australia Canada Denmark England Germany India Ireland Italy Mexico Netherlands New Zealand Panama Scotland South Africa Switzerland United Kingdom U.S.A.
For those buyers who are looking for a higher quality sweatshirt we offer this Carhartt brand sweatshirt. Big and Tall sizes are also available. Call AAPF Office at 859-533-1465 to inquire about available sizes and costs. PLUS a full back AAPF or IAPF applique logo. This unique logo will make your sweatshirt stand out in the crowd. The price also includes the AAPF or IAPF logo on the front of the sweatshirt along with your name and credentials (APF, CJF, etc.). NOT AVAILABLE FOR CAPF. Finished size of applique is 10" x 10"
Sport-Tek® - Super Heavyweight Pullover Hooded Sweatshirt. Whether your working under a horse or out with the family, it's the most warmth you can get out of a sweatshirt. Weighing in at a hefty 12 ounces, our super heavyweight fleece is constructed for durability and comfort. PLUS a full back AAPF or IAPF applique logo. This unique logo will make your sweatshirt stand out in the crowd. The price also includes the AAPF or IAPF logo on the front of the sweatshirt along with your name and credentials (APF, CJF, etc.). CAPF Logo is not available. Finished size of applique is 10" x 10"
Our tried-and-true favorite just got better. With an updated fit, this pullover now boasts beefier 2x2 rib knit details, an improved drawcord, three-panel hood and more. Extra soft and comfortable, it's also colorfast and built for minimal shrinkage. Tough enough for most general work environments, this high-performance polo defies snags, resists wrinkles, fights odors and wicks moisture so you keep your professional edge all day long. A GREAT HOT WEATHER SHIRT! IAPF Country Australia Denmark Norway United Kingdom U.S.A. Port Authority® - EZCotton Polo Shirt. Soft to the touch. A hardworking favorite. Sport-Tek® - Super Heavyweight Full-Zip Hooded Sweatshirt. Whether you're under a horse or out with the family, it's the most warmth you can get out of a sweatshirt. Weighing in at a hefty 12 ounces, our super heavyweight fleece is constructed for durability and comfort. PLUS a full back AAPF or IAPF applique logo. This unique logo will make your sweatshirt stand out in the crowd. The price also includes the AAPF or CAPF or IAPF logo on the front of the sweatshirt along with your name and credentials (APF, CJF, etc.). Finished size of applique is 10" x 10". Now is the time to join with your fellow AAPF/IAPF farriers as you fully commit to a new level of Continuing Education. Never before in the history of the farrier industry has an opportunity like the “AAPF/IAPF Farrier Credentialing” been offered. Through this “Journey” you’ll take steps which will demonstrate to horse owners, trainers, veterinarians, and others in the horse industry your personal commitment to your profession! Members who successfully complete the Foundation Credential will earn the right to add "-I" to their "AF" or "APF" Accreditation status. YOUR OPPORTUNITY TO CONTINUE THE JOURNEY! In 2016, the AAPF/IAPF introduced a new level of Continuing Education which we refer to as “Credentialing”. Over 300 of our members have completed the first step – Foundation Credentialing. 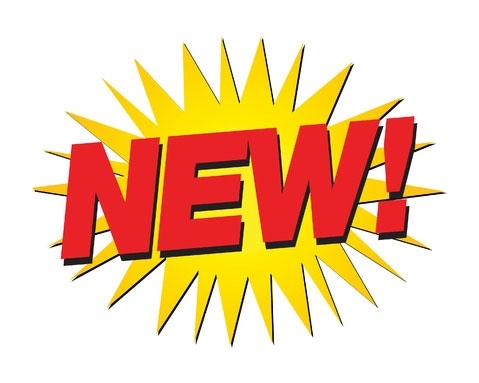 We are now ready to unveil the second step – Discipline Credentialing. We have identified “Hunters and Jumpers” as our first discipline credential. Through this “Journey” you’ll continue to demonstrate to horse owners, trainers, veterinarians and others in the horse industry your personal commitment to your profession! Each level of the Discipline Credential requires the successful completion of the Foundation Credential. United States Hunter Jumper Association membership fee. This level was created for the farrier who is not shoeing hunters and/or jumpers but wants to gain the knowledge available through the study guide / reference manual and accompanying test. In addition, this farrier wants to begin the process of learning how to forge the required shoe modifications. The farrier would not be eligible to participate at a testing site. The farrier will have the opportunity to purchase the other items listed in Level One for an additional $335. (Contact the AAPF/IAPF office to make this purchase). This level was created for the farrier who is not shoeing hunters and/or jumpers but wants to gain the knowledge available through the study guide / reference manual and accompanying test. The farrier would not be eligible to participate at a testing site. The farrier will have the opportunity to purchase the other items listed in Level One for an additional $410. (Contact the AAPF/IAPF office to make this purchase). 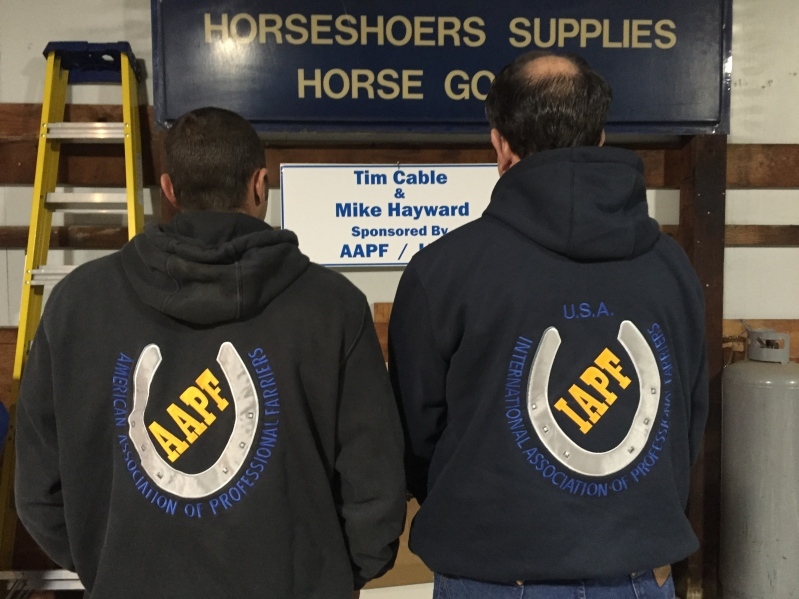 The American Association of Professional Farriers (AAPF) and International Association of Professional Farriers (IAPF) have created two educational aids called "Laminitis 911" and "Thrush 911". These 11” x 17” posters, printed on high gloss heavyweight paper, will make excellent additions to every stable. You may order 1 - 10 posters at no charge (including shipping). If you wish to order more than 10, we encourage you to receive the first 10, distribute them, and then request an additional 10, and so on. Please click on "Laminitis 911" and "Thrush 911" Posters (above) for additional details about these posters. NOTE: When ordering use the "Pay By Check/Money Order" option (do not click on "Credit Card"). Thank you. If purchaser is an AAPF/CAPF member, they will earn six (6) AAPF/CAPF Continuing Education credits when purchasing this book. Combined with Volume 2, these books cover all aspects of remedial shoeing and the associated background knowledge. It is profusely illustrated in color and is written with both farriers and veterinary surgeons in mind. Full of current information about treatment of all manners of hoof ailments, Volume 1 was published in 2002, and Volume 2 (a continuation) was published in 2006. Filled to the brim with contributions from 14 authors who specialize in the horse's hoof. An important addition to the library of any farrier or vet. Books are 7" x 10" x 1" thick. If purchaser is an AAPF/IAPF member, they will earn seven (7) AAPF/IAPF Continuing Education credits when purchasing this book. Combined with Volume 1, these books cover all aspects of remedial shoeing and the associated background knowledge. It is profusely illustrated in color and is written with both farriers and veterinary surgeons in mind. Full of current information about treatment of all manners of hoof ailments, Volume 1 was published in 2002, and Volume 2 (a continuation) was published in 2006. Filled to the brim with contributions from 14 authors who specialize in the horse's hoof. An important addition to the library of any farrier or vet. Books are 7" x 10" x 1" thick. If purchaser is an AAPF/CAPF member, they will earn seven (7) AAPF Continuing Education credits when purchasing this book. Featuring careful distal limb and hoof dissections with crystal clear photography, along with a high level of attention to detail in the design, this Guide provides a level of professionalism that far surpasses the norm. Digital edition. An internet link will be provided to the purchaser. If purchaser is an AAPF/CAPF member, they will earn one (1) AAPF/CAPF Continuing Education credit when purchasing this digital edition. Featuring careful distal limb and hoof dissections with crystal clear photography, along with a high level of attention to detail in the design, this Guide provides a level of professionalism that far surpasses the norm. Printed on 130-lb, glossy card stock with a full-color front and back, this Guide is both rigid and durable. The spiral binding makes for ease of use and portability. This comprehensive equine laminitis book will enable you to discover the vital information you need to know to help your horse on the road to recovery. This is THE reference book for all farriers and horse owners who are struggling to help their horses to recover from the devastating effects of laminitis and founder. Written in clear, simple language that is easy to understand and implement for both beginners and experienced horse people alike. It will guide you through the issues related to the laminitis and give you practical ways to prevent, treat and manage the laminitic equine using safe and effective, natural methods. As a hoof care professional, I come across laminitis and founder on a frequent basis. I understand from both first-hand experience with my own horse and through witnessing my client's distress, just how scary it can be to find out your horse has laminitis. It can be overwhelming to try and take it all in when you see your horse in so much pain especially when you get conflicting advice from so many different sources. Whilst there are lots of great online resources for laminitis, it can be time consuming to try and pull all that information together to come up with a workable solution for your horse. That is why I decided to write this book - to give you the information you need to make the right decisions and get your horse on the road to recovery as soon as possible. Based on years' of experience and education it is a comprehensive resource for understanding laminitis and founder. If purchaser is an AAPF/CAPF member, they will earn one (1) AAPF/CAPF Continuing Education credit when purchasing this book. Book - "Evaluating Radiographs for Equine Foot Management"
The equine foot is a complex organ. It’s form and function has a direct influence on the performance, longevity and value of the horse. The book contains radiographs that provide specific information about soft tissue, bone angles and the biomechanical efficacy of the foot. Included case studies describe how to measure and evaluate healthy parameters as well as mechanical formulas for foot rehabilitation. Using this standard for evaluation provides a common language between professionals for managing the horse’s feet. If purchaser is an AAPF/IAPF member, they will earn three (3) AAPF Continuing Education credits when purchasing this book. Exploring Laminitis 1 uses comparative anatomy in a quest to analyze the differences between a "healthy" hoof and with one that has severe, chronic laminitis with capsular rotation. Stunning, high resolution, full color dissection photos and illustrations allow you to explore beneath the hoof capsule to fully understand the structures affected by laminitis. Printed on heavy duty card and spiral bound to make this guide very rugged and easy to use as a portable teaching tool. Book - "Farriery: Foal to Racehorse"
Follow the development of the horse’s foot from birth to retirement in this exciting new color guide to foot care and problems. Designed as a resource for trainers and breeding farms, and as a reference for farriers and veterinarians, this book does not teach how to shoe, but rather when and why a particular shoe or treatment may be needed. More than 50 pages address flexural (tendon, club foot) and skeletal problems in foals and yearlings, with instructions for making correction devices made of plastic, aluminum, and adhesive composites. Simon Curtis FWCF, of Newmarket, England is farrier to some of the world’s leading racing and breeding operations and a well-known lecturer. He is resident surgical farrier for Rossdale & Partners veterinary practice in Newmarket. Examples are included from his work in Europe, Australia, America, and India. While focusing on the Thoroughbred, most information is practical and helpful for all use with any breed. If purchaser is an AAPF/IAPF member, they will earn four (4) AAPF/IAPF Continuing Education credits when purchasing this book. Book - "Laminitis & Founder"
NOTE: THIS BOOK IS NO LONGER AVAILABLE IN PRINT FORMAT. HOWEVER, IT MAY BE DOWNLOADED AT NO CHARGE FROM THE LIFE DATA LABS WEBSITE. CLICK HERE for a direct link to the download. Veterinarian and nutrition expert Dr. Frank Gravlee has joined forces with farrier teacher and author Dr. Doug Butler to create a comprehensive, understandable and sensible guide for horse owners that is also a valuable reference for veterinarians and farriers. Laminitis and Founder: Prevention and Treatment teaches exactly what laminitis is and how the horse s body systems are affected. The book offers detailed advice on how to recognize horses that may be most at risk for the disease, and how to manage them. The second half of the book focuses on the effects of laminitis on the horse s feet, and how to best manage them with professional horseshoeing expertise and veterinary medical treatment. Along with Gravlee and Butler, Dr. George Platt, a Colorado veterinarian, was a consultant to the book. Sections of the book s advice on the use of heart bar horseshoes for laminitis were based on his years as a laminitis specialist and his experience working with the late farrier and heart-bar shoe expert Burney Chapman. Readers will find tips on diet, pasture, obesity, exercise and in particular, the role of nutrition in both the healthy and laminitic horse, as well as advice on medical treatment and details of frog-support shoeing. Recommendations for how farriers and veterinarians should work together, and who does what will be helpful to the horse owner as treatment begins. Veterinarians will find new information in this book on nutritional needs of foundered horses and also details on the edema theory of laminitis as well as insight into the role of the adrenal glands and cortisol production in the frustrating equine metabolic syndrome type of hormonal laminitis. Farriers will see many examples of successful heart bar shoeing regimens with straightforward advice for using heart bars and how to monitor their effect on the laminitic horse. If purchaser is an AAPF/CAPF member, they will earn two (2) AAPF/IAPF Continuing Education credits when purchasing this book. To obtain your CE Credits, please email aapf@professionalfarriers.com requesting your 2 CE Credits. This is an in-depth guide to the equine distal limb. The images have been carefully collected to visibly show the function of the structures and ease the task of explaining difficult concepts. Featuring careful dissections and crystal clear photography, along with a high level of attention to detail in the design, this Guide provides a level of professionalism that far surpasses the norm. Digital edition. An internet link will be provided to the purchaser. This is an in-depth guide to the equine distal limb. The images have been carefully collected to visibly show the function of the structures and ease the task of explaining difficult concepts. Featuring careful dissections and crystal clear photography, along with a high level of attention to detail in the design, this Guide provides a level of professionalism that far surpasses the norm. Book - "Understanding the Horse's Feet"
Explaining the complexity of this subject in terms that the lay person can understand, this book will give horse owners confidence in discussing foot-related issues with their vet or farrier/trimmer. It details the structure of the horse's foot and how to examine it, the function of the hoof and other foot structures, and investigating lameness. The perennial problem of laminitis is examined in depth, together with other conditions that commonly affect the horse's foot. If purchaser is an AAPF/CAPF member, they will earn four (4) AAPF/CAPF Continuing Education credits when purchasing this book. Book: "Laminitis, Founder & Equine Ditigal Osteoarthritis - Diagnosis & Treatment"
Laminitis, Founder & Equine Digital Osteoarthritis, NEW BOOK RELEASE! After 6 years in the making KC La Pierre MAEP APF RJF CF MIAEP has completed his newest book "Laminitis, Founder & Equine Digital Osteoarthritis". "This book is the first book in over a century to challenge the very foundations of today's hoof care industry." With over 250 pages, 180 color illustrations, 108 bibliographic listings, a 27 page glossary, and extensive index. It promises to quickly become the go-to text for the most up-to-date information on hoof care for horses suffering these devastating pathologies. This book is the culmination of three decades of applied research, evidence based in vivo, and in vitro study. This book is for anyone that wishes to improve the quality of life of the horses in their care. If purchaser is an AAPF/IAPF member, they will earn five (5) AAPF/CAPF Continuing Education credits when purchasing this book. Publisher: Applied Equine Podiatry Inc.
Book: "Foal Limbs and Anormalities"
An illustrated guide to identifying and treating common abnormalities occuring in foals and young horses. If purchaser is an AAPF/IAPF member, they will earn one (1) AAPF Continuing Education credit when purchasing this educational aid. Book: "The Hoof of the Horse"
"The Hoof of the Horse" will take you on a journey tracing the development of the equine hoof, from its beginning in the mare’s uterus all the way to old age. It is written in three sections which explore; the physical nature of the hoof, the five ages of the hoof,andaffects upon the hoof. We know that the shape of the hoof is linked to soundness and good health: why and how the hoof changes its form is explained in detail. There are 250 beautiful color illustrations which will illuminate the text. It is a book to be read by anyone interested in the horse and how its unique hoof works. Much of the information in this book has not been published elsewhere. Ten years of scientific research into the hoof are explained simply giving the reader a deeper knowledge of the hoof than has ever been possible before. AAPF/IAPF members who purchase this book through this Online Store will earn 4 AAPF Continuing Education credits. With two ways to carry this handy pack, your bag is always at hand. Take the strain off by rolling this wheeled pack, or use the straps and carry like a backpack. AAPF or CAPF or IAPF Logo to be embroidered on zippered pocket. IAPF Country Australia Canada Denmark England Germany India Ireland Italy Mexico Netherlands Panama Scotland Switzerland United Kingdom United States U.S.A.